Nothing is worse than that nerve-wracking feeling on freshman move-in day. You’re not sure how you’ll last the next nine months on campus, let alone the next four years. From ancient dorms to impossible classes, your dream school could easily become a nightmare. 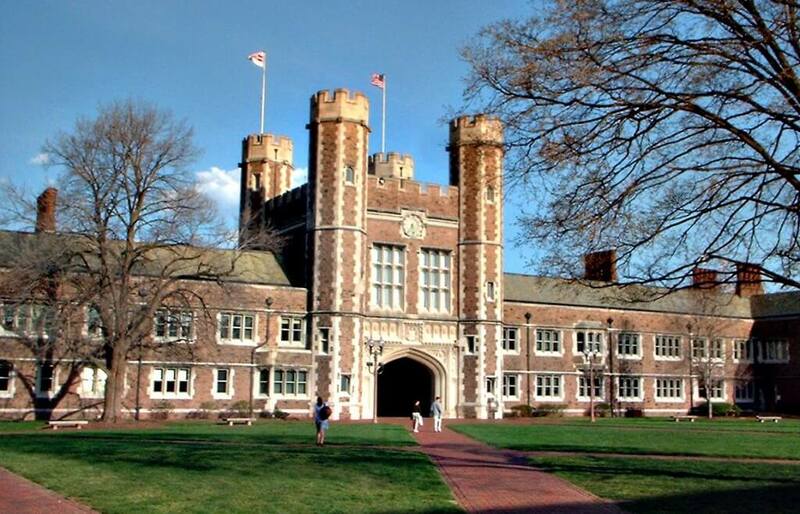 Luckily, there are colleges that freshmen just love. See if your school made the cut, and put those fears to rest before you start filing enrollment paperwork. 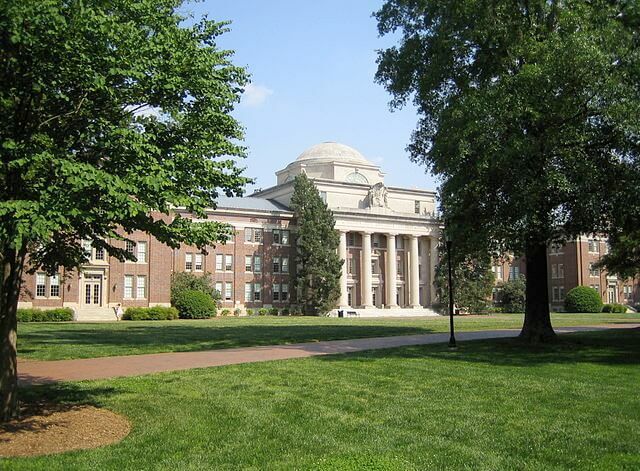 This small liberal arts school in Davidson, North Carolina boasts features many large universities would envy. 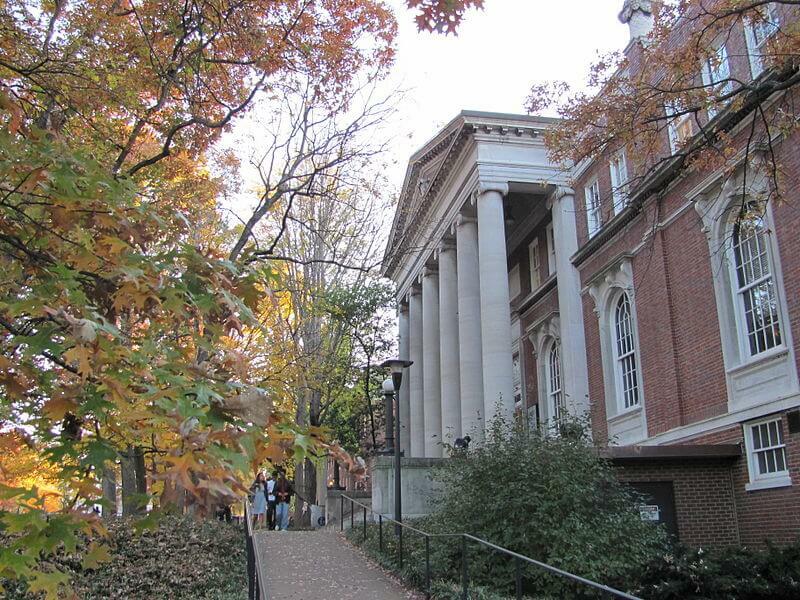 Ninety-six percent of Davidson freshmen return for sophomore year, and with good reason. The school has 27 majors, the perfect number for those who are undecided but don’t want to be overwhelmed with options. Davidson is also ranked for its excellent housing choices; the residence department takes great care to make sure freshmen all have a great experience their first year on campus. All incoming students fill out detailed questionnaires, including everything from sleep schedules to Myers-Briggs type before being assigned a random roommate, so the chances of a roommate horror story are slim to none. Phew. 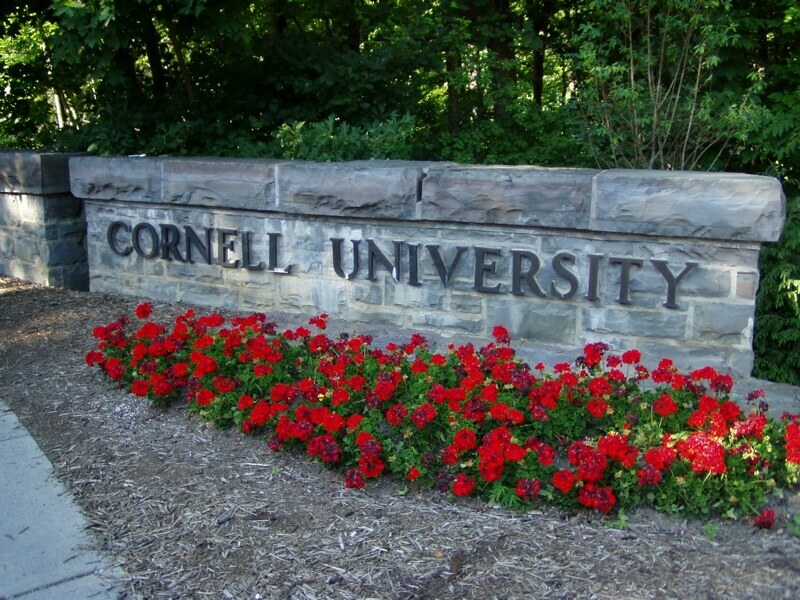 There’s a reason Andy Bernard wouldn’t stop bragging about attending Cornell on The Office. This Ivy League university also holds a 96 percent freshmen retention rate, and one of the highest graduation rates at 87 percent. When students aren’t working hard at one of the 80 majors offered, they can take advantage of the 1,017 student organizations on campus to help pass the time. “I’m definitely looking forward to joining one or maybe four of the clubs and activities, since there’s almost too many to count,” said freshman Brynn Richter. “Cornell provides all the tools necessary to find your niche, which greatly eases the transition to college life.” With everything from cultural groups to juggling club to plenty of a cappella groups like Bernard’s, it’s impossible to be bored as a Cornell freshman. UVA is the choice for those looking for prestige in academics, but not willing to sacrifice the big public school feel. Though UVA is a little pricey for out-of-staters, the school meets 100 percent of all financial needs. Students can enjoy the complete freedom the university’s honor code and self-government gives them. “The university puts so much trust in its students, and they show the university that they can handle it,” said first-year Nikki Freeman. 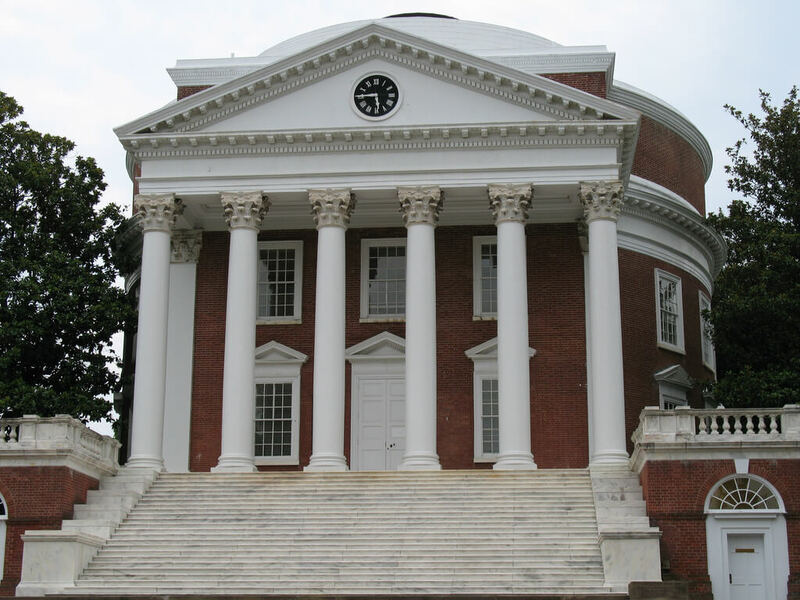 The parents of freshmen—sorry, “first-years” in UVA lingo—can go ahead and rest easy knowing their kids are spending the next four years at a responsible and highly-regarded institution that doesn’t break the bank. 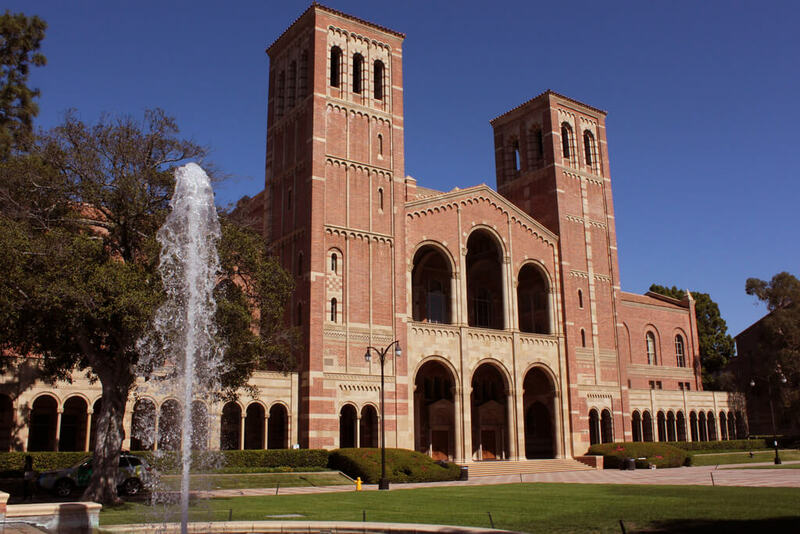 With only a 19 percent acceptance rate, it may be tricky to get into UCLA–but once you’re in, you won’t want to leave. “The greatest thing about UCLA is our sense of spirit and community,” said sophomore Lily Krol. “From doing an eight-clap in the historic Rose Bowl Stadium to burning red items during the Beat ‘SC Bonfire, freshmen will undoubtedly feel a sense of pride for their school.” 97 percent of freshmen return to this public ivy for sophomore year, and the school has an overall four-year graduation rate of 91 percent. It’s pretty easy for UCLA to hold its students’ interest with 125 majors to choose from, 1,000 student organizations to join and 18 Division I sports to watch. On the off chance freshman year gets a little dull on campus, students can always venture a few miles down the road to visit a little city called Los Angeles. Even at a school with over 5,000 undergrads, the University of Chicago makes significant strides to help students feel like their experience is a unique one. There’s a six-to-one student-to-faculty ratio, making the average class size around 20 students. On the housing side, freshmen are assigned to be a member of one of 38 “houses,” which are made up of 40 to 100 other students. Houses are complete with a House Council, weekly activities and a House Table in the dining room. Whether they get to travel downtown to see The Second City improv shows with Keller House or skip town for the annual overnight camping trip with Crown House, students always have house activities planned to keep them busy. 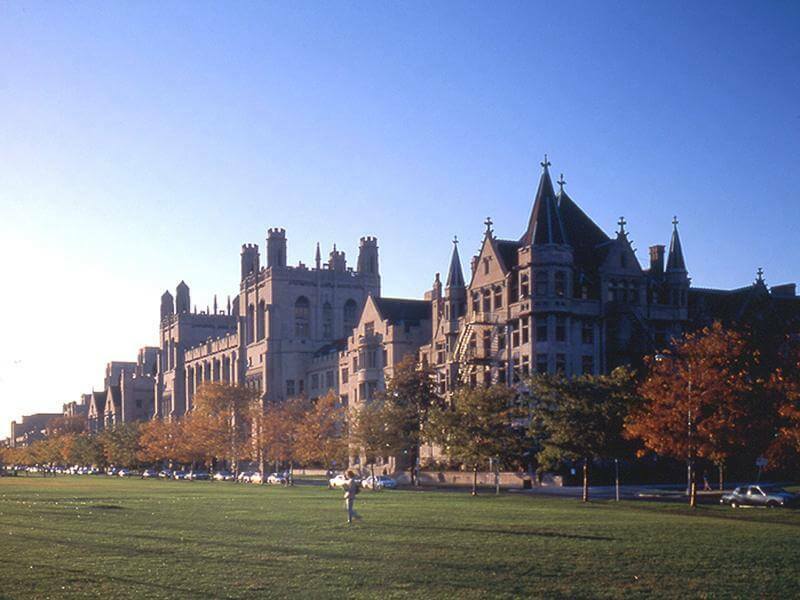 Students feel like they’re living at Hogwarts for four years; it’s no wonder University of Chicago students are frequently ranked among the happiest in the nation. 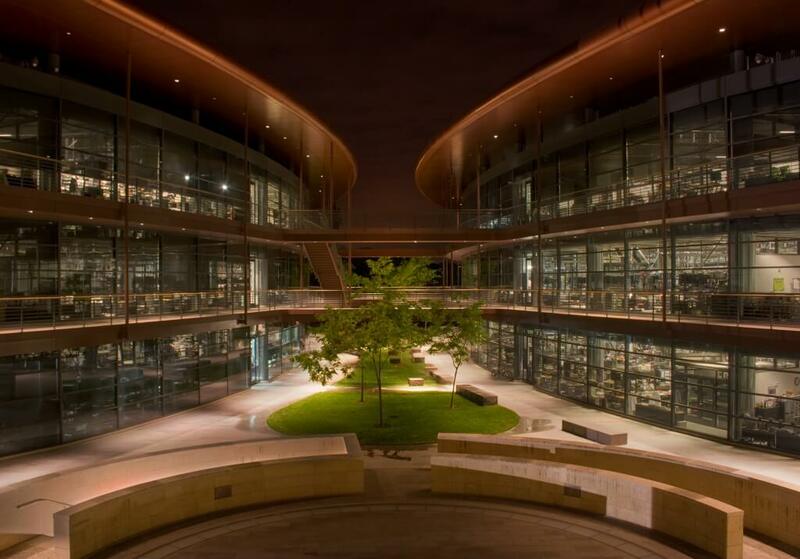 Incoming freshmen at Stanford should not only be excited about the premier institution they’re attending, but also the community they’re joining. Freshmen in dorms get the opportunity to befriend upperclassmen living alongside them, and the upperclassmen get to teach their new friends how to carry on Stanford traditions that encourage strong relationships amongst the students. From the Full Moon on the Quad event, where seniors kiss freshmen on a fall night under the stars, to dorm-wide games of Assassin, to the extravagant end of the year dorm banquets, students at Stanford certainly don’t experience any age-based segregation in their four years. These interclass interactions certainly serve to help Stanford’s 98 percent freshmen retention rate. If your high school GPA was fire but your SAT or ACT scores weren’t quite on par, never fear. Bowdoin got rid of standardized testing requirements for its application in 1969, so this liberal arts college in Brunswick, Maine will take you based on other qualifications. 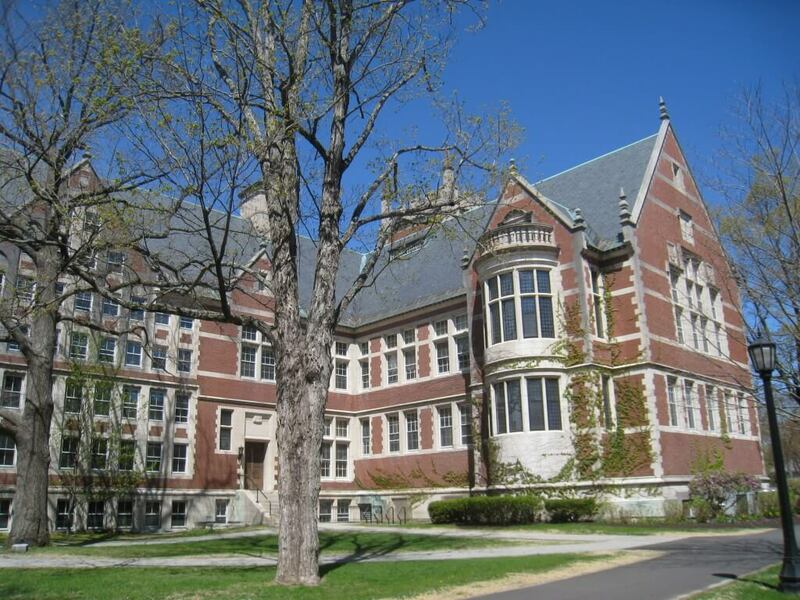 Bowdoin also said farewell to Greek life on campus in 1997, but replaced it with an even better housing system. Based on their residence halls, freshmen are assigned to one of eight “houses” and given chances to bond and take leadership positions within their house communities. As upperclassmen, they can apply to live in the actual house just as Greek life members do. This system certainly seems to work well for Bowdoin, as the college is known for excellent housing. While this selective university is better known for giving out F’s, it makes a huge effort to help new students adjust to its rigorous curriculum. The student-to-faculty ratio is eight-to-one, meaning each student gets the individualized attention they need to succeed. “During my freshman year, faculty and other students treated me with the respect that one might expect as an upperclassman,” said junior Erin DeNardo. “There was never a time that I felt that my opinion or knowledge was less valid because I was young.” Throw in the cultural city of St. Louis and the school’s top ranked housing, and it’s no wonder freshmen are itching to enroll. 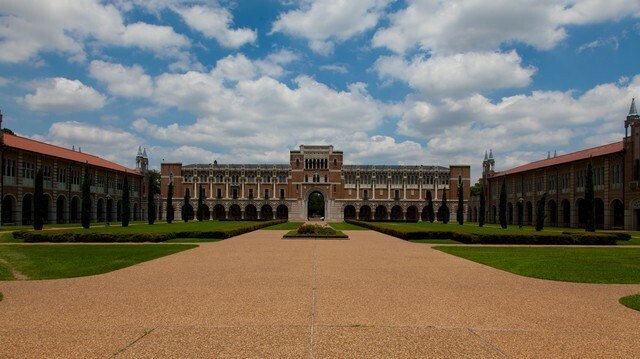 Rice University isn’t your typical urban school. Not only does it make its home in Houston, the fourth largest city in America, but it’s right in the heart of Houston’s Museum District. If you ever feel the need to pull a Ferris Bueller and ditch class, get confused by the art at the Contemporary Art Museum Houston, or get lost in the explorable exhibits at the Rice Gallery. Rice students can be active in the Houston community, as well as the student communities on campus formed by their 11 residential colleges. Freshmen are placed into these colleges and can remain active in them even if they choose to move off-campus as upperclassmen. Rice is highly ranked for its housing, just like its academics, and the numbers prove it: 96 percent of freshmen eagerly return for their second year. Nicknamed “Vandy” and “the Harvard of the South,” Vanderbilt University in Nashville prides itself on not only competing in the Division I Southeastern Conference for athletics, but also being the top school for academics in the league. When students are taking a break from cheering on the Commodores or working hard at one of Vanderbilt’s 69 majors, they’ve got easy access to fun times in Music City. For on-campus activities, Greek life plays a huge role in the community along with the 669 other student organizations. Regardless of what they choose to get involved in at Vanderbilt, new students easily find friends living in the Commons, the high-quality freshmen dorms. “Since all freshmen are required to live there, it really creates a sense of unity,” said sophomore Sami Simon. “It makes new students feel comfortable knowing they are living with other people who are also learning to adapt to college life.” Even when freshman year homesickness strikes, at Vanderbilt you know you’re not going through it alone. Natalie is a sophomore Broadcast Journalism major and Women’s Studies minor at the University of Maryland. If she’s not at the dance studio, she can most likely be found watching comedy shows on Netflix, eating ice cream, or jamming way too hard to showtunes.